Rent in Boring Road Patna is stagnant from last FIVE years. Rent for 2 BHK flat in Boring Road and adjoining areas of 1000 sq ft, is Rs 12000- Rs 15000 AND of 3 BHK flat of around 1200-1300 sq ft is Rs 15000 – Rs 18000 . It is not only Boring road in Patna that is experiencing stagnation but each and every established locality of Patna like Kankarbagh, Rajendra Nagar etc. A fully furnished 3 BHK flat on main Gola Road for rent opposite Union Bank of India of 1235 sq ft in size fetched Rs 20000 as monthly rental plus maintenance charges of Rs 1500 per month just 15 days ago. Patna Real Estate is changing. WOW! The reason is infrastructural development in Western Patna. Tenants have options. The connectivity to central Patna through flyovers and facilities like schools, hospitals and markets has made people happily living in western Patna in newer more modern flats and Houses on rent. No doubt that the conditions of flats for rent in the newer areas of western Patna is better than the older cousins like Boring Road and Ashiana Nagar. The windows, walls and bathroom and electrical fittings all are in better conditions. They are all modern looking too. Secondly noise levels in localities of western Patna like Gola Road, Ram Jaipal Nagar, RPS MOR, DPS MOR, Saguna MOR, Raj Nagar, Ram Krishna Puram, and Arya Samaj Road are very low as compare to “HONKING” localities of central Patna. The parking situation in these areas is better. In fact it is only after the NAHAR that Bailey road, lifeline of Patna’s traffic, is flanked by service roads on both sides till Saguna MOR and then till Danapur Station as planned. Apartments in western Patna are providing spaces for Guest parking too, which is uncommon in Central Patna. There are abundant grocery shops, schools and hospitals nearby in western Patna. Not only grocery shops but malls like WESTERN MALL. If you have kids than schools are nearby; DPS, RPS, BIRLA OPEN MINDS, St. KARENS, GYAN NIKETAN and at least 20 more big good reputed schools. We know that we have to pay rent every month. But there might be other monthly fees associated with renting a flat in Patna, often called a ‘maintenance fee’. You may also be responsible for paying the utilities bill like electricity. Make sure you understand — and can afford — the actual cost of renting an apartment, which means rent+ maintenance+ utilities. Remember, there are ample flats in Patna and no need to hurry. Make sure that you understand the terms and conditions in the contract. If any doubt take your time and take help of someone who understands the contract. 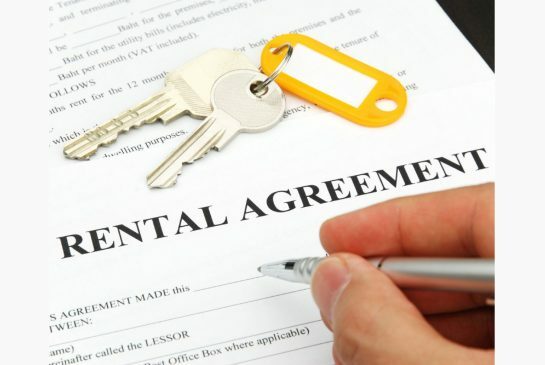 Do not pay more rent in advance than it is normally given. A decent 3 BHK flat for rent in Patna is available in Rs 10000 -Rs12000 with all amenities in walking distances; do not pay more. DO NOT PAY MORE.